French for buttonhole, a boutonniere has traditionally been flowers or flower buds in the past. 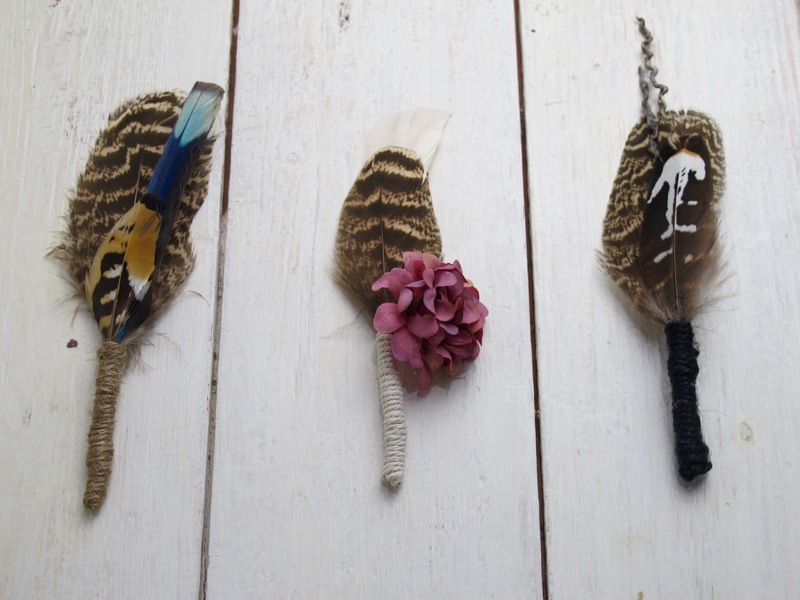 Feather N Bone have gone outside that box and created special pieces out of all natural elements. 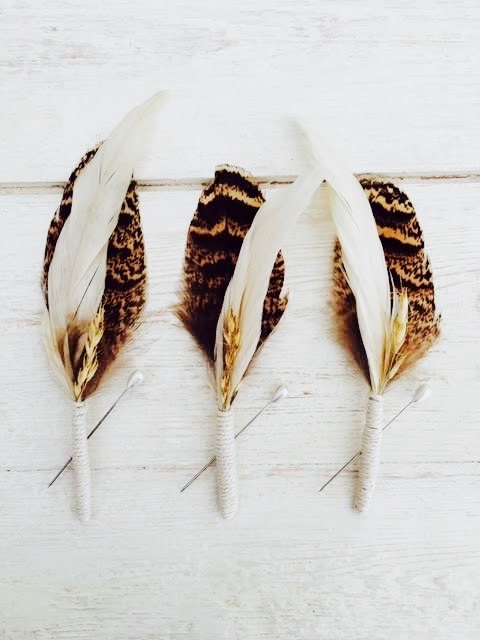 We chat to Tracey from Feather N Bone about her inspiration for making these organic, ethically sourced buttonholes and find out more about her design concept. "I am in Interior Designer by day in Sydney and I began making custom cuttle fish wall hangings as a hobby and created an Etsy store in February 2017. The feather boutonnieres and name place cards came along shortly after when I used some gorgeous, natural & ethnically sourced feathers on a wall hanging and wanted to come up with some other unique items made from feathers. 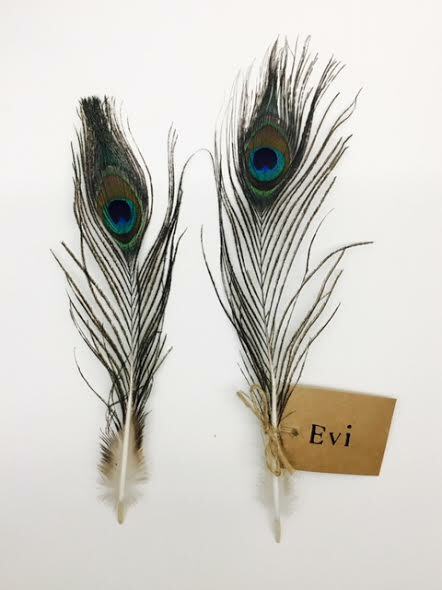 My concept is about using nature's elements to create pieces for customer's that make them feel special. Using natural, raw and ethical materials is important to me and I aim to create a rustic/bohemian look, entwined with touches of coastal. 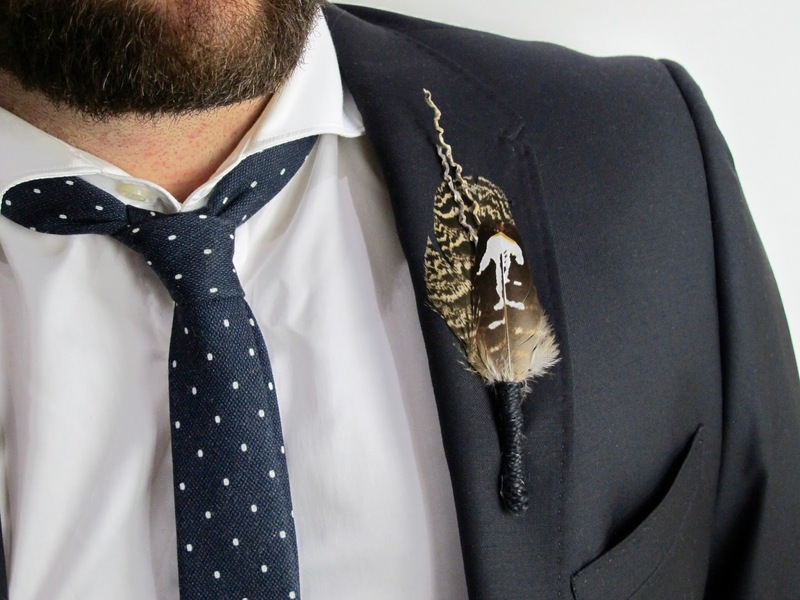 A desire to create something different from the traditional flower on the suit buttonhole. 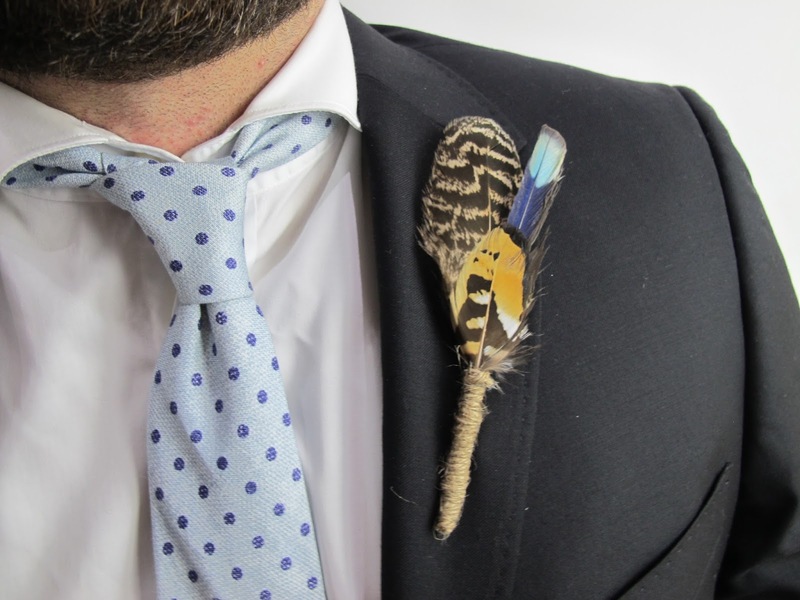 The feather boutonnieres were something unique for the groom, other then the traditional flower on the suit and something that can be kept forever as a memory. I also love dinner parties and go all out with my table decorations! 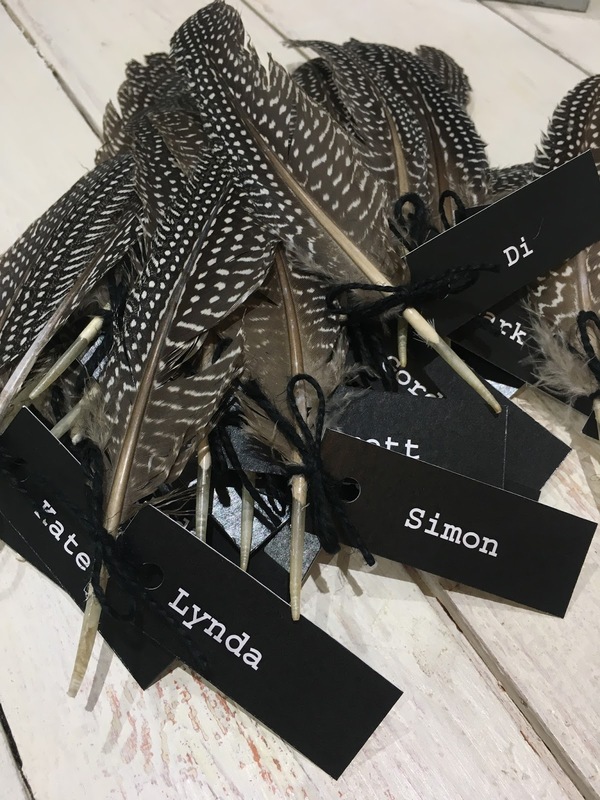 Being slightly obsessed with feathers as it is, the name place cards are a simple and a sweet touch for any occasion. It makes my day knowing that something I have created has made someone's Wedding that much more special. So, with my flare for styling as an interior designers, I am sure that if I got asked to style a Wedding or source the table decor - I would jump at the chance in a second!